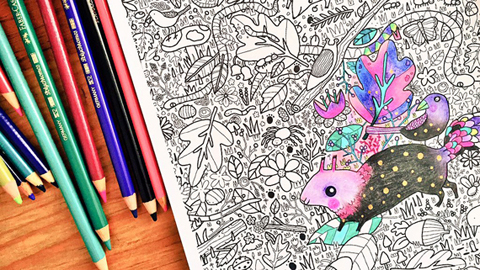 Adult Colouring is a trend you can't escape, so why not embrace the phenomenon with gusto this Christmas? You might be surprised by how much you and your loved ones enjoy it. 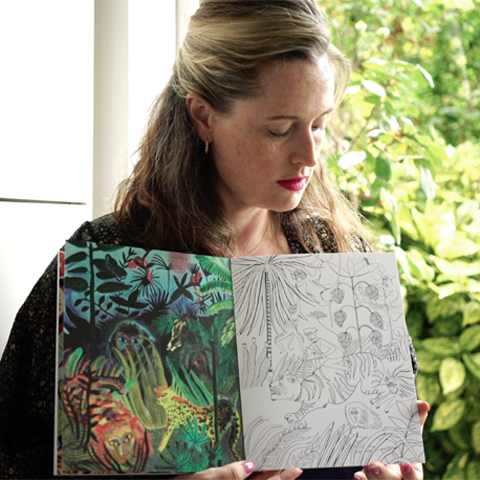 I first became fascinated by the growth in popularity of adult colouring a year ago, and although sure it would not appeal to me as a personal hobby I thought the format provided the perfect forum for artists to showcase their work. So I posted a brief on Amelia's Magazine and set about making Amelia's Colourful Colouring Companion. In the interests of research I decided to try adult colouring myself, and before I knew it I was a total convert: from intrigued sceptic to full on addict, here's what I've learnt during my colouring journey so far. Pygmy Cloud Christmas Video: How do you make Grumpy Pygmy Bear smile? Check out our exclusive introduction to the lovely Pygmy Cloud Christmas video, including behind the scenes photos! Ideas for the little ones, including ethical, handmade and unusual gifts that are sure to charm. Choose from ceramics, oven gloves, sustainable plastic ware, wooden trays and chopping boards made from felled trees of London.